When it comes to septic repair services you should always choose a company that you trust. 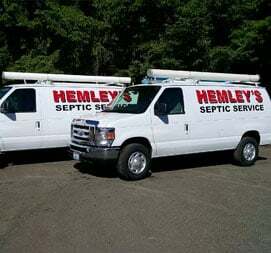 Hemley’s Septic is a privately-owned company that repairs and installs all sorts of commercial and residential septic systems. We have over 50 years of experience and our goal is customer satisfaction. 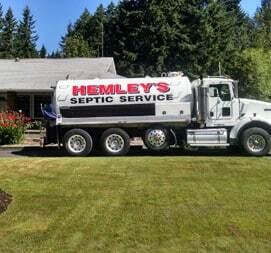 We strive to leave you with a perfectly working septic system. We are a licensed, bonded, and insured company that has been serving your area for several decades. We believe that your time is valuable. This is why we offer a 24/7 emergency service. Whatever your septic issue you can count on us! 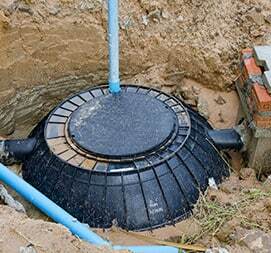 We offer Septic System Troubleshooting/Repair and replacement. Once you trust Hemley’s Septic with whatever your issue is, you can trust in us that we will take care of the issue properly, and leave you with peace of mind. We know all about septic systems, their part, and maintenance. We offer you the best and most affordable service in your region. When it comes to scheduling a repair or maintenance, you can have peace of mind when choosing us as your septic company. We will address any Troubleshooting or Repair issues that you may have. Wastewater enters your septic system via a chamber, the sludge makes its way to the bottom while the scum keeps floating to the top. This liquid moves through the chamber and carries the scum with it the house. This further drains the solid material and decomposes the liquid. If the tank is split into two compartments, one chamber traps the sludge, and it can result in serious problems. Overflowing septic tank means there is an issue with the drain field and how it absorbs the waste water. This happens when the hydrogen sulfide gas gets trapped in compartment tanks. Roots: because tank emits wastewater, there is a high possibility that plants start to grow towards the septic unit. The roots of these plants can cause serious damage. When it comes to getting your septic tank serviced, things can be a bit complicated because it is tough to see how your septic tank is functioning. This is mainly because you can’t visually see it. 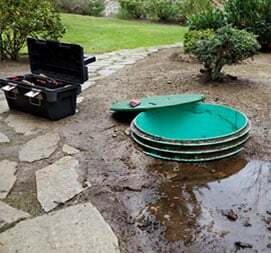 How can you tell if your septic tank needs to be serviced or not? Let the following help you with that concern! Pooling Water: When the water in lawn pools come without good reason, it’s a clear sign that your septic tank has become full and you need to get it cleaned out. Lawn: You need to know that not all wastes are created equally. Fertilizer and septic waste are different from each other. Septic waste kills grass and greenery. So you need to keep an eye out for yellow or brown patches of grass in your lawn. Smell: If your tank is full, or broke, it will make the sludge rise. This will emit odors around the area, which is a good sign that your septic system needs Troubleshooting/Repair. Drain: If the tank is full, it will affect the way your toilet works. You need to see how quickly the toilet drains after you flush it out, this can provide you a good idea about the wellbeing of the drain. We are the best and most reliable septic Troubleshooting/Repair company in your area. We ensure that all our clients receive top of the line service. We offer all of our customers a high standard in customer quality service that no one can beat. Therefore, if you have a septic issue and don’t know where to go, you can call us. We provide you with a clear estimate of projected charges and explain the entire scope of the work needed before we get started. Don’t be hesitant give us a call today!